We love what we do and it shows, every day. Owner, Peter Holmes set out to create an experience with an auto body shop that leaves customers feeling great. Their car or truck is “back-to-beautiful“ in no time and the experience is easy, honest and hassle-free. Just as important is creating a professional and enjoyable environment for the backbone of the business – his employees. As Peter likes to say – “It’s not hard – If you treat people and employees right – with respect and with honesty, everything will work out just fine for the business”. 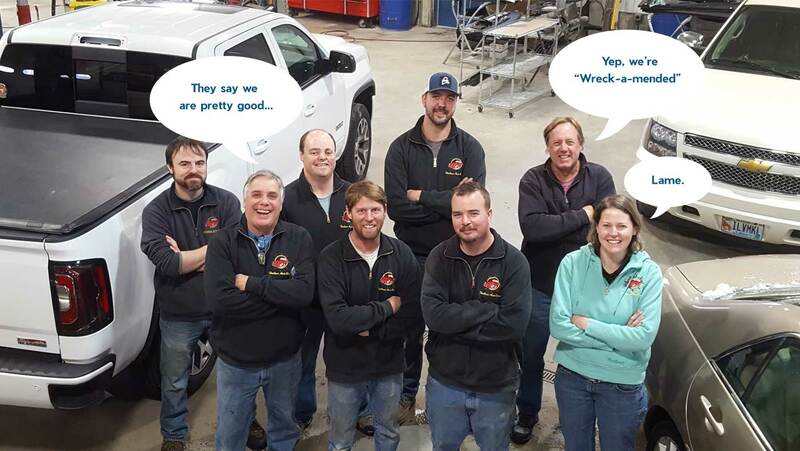 From the beginning, the mission for the Harbour Auto Body team has been to provide great customer service and superior workmanship while maintaining a well-kept, clean facility and working environment. To do this teamwork and communication is essential and every member of the team is proud of their contribution in rolling out a quality product. All auto body shops are not equal. The difference for Harbour Auto body – humble beginnings, the highest quality workmanship and a work ethic in the Maine tradition. Peter instilled in his employees the old-school values of hard work, attention to every detail and firm belief that if you do a job – you do it right. Peter’s determination on “No cutting corners!” is evidenced by his insistence on using proper OEM replacement parts (versus oftentimes substandard aftermarket parts). This driving obsession and has propelled business growth and success over the last 30 years. Not surprisingly, word- of-mouth advertising has been all that was necessary. If you are ever in an accident and are looking for the best auto body shop around, we hope you too will hear the chorus of happy customers singing our praises. It was 1973 and Peter Holmes graduated high school. He loved cars, specifically British cars- Austin Healeys, Jaguars, particularly MGBs. He also had a love, a gift of working with his hands, fixing up old or damaged cars. Thus, began a backyard business of finding, buying, fixing up and selling MGBs and other cars. He turned quite a profit, saying “I started making more money than my dad”. As time went on he was hired by a friend’s dad who owned an auto body shop in Windham. Peter threw himself into learning everything he could about the business and became very proficient. After a few years, he moved to an apartment in the West End of Portland and worked at another auto body shop. He continued building upon his skills and finally, in 1987, he felt he was ready. He owned a Volvo at the time and sold it to buy a compressor. He then negotiated and rented a shop on the Portland waterfront down where ships brought in coal, what is now Merrill’s Marine Terminal. It was a beautiful, old brick building that looked out over the harbor. “Ships went right by my window all day long”. The business name wasn’t hard to come up with- Harbour Auto Body. He preferred using the British spelling of “Harbor” as a nod to his love of British cars and his humble beginnings. Peter worked for years at Harbour Auto Body all by himself. Quality, craftsmanship, honesty, treating people right and not living above his means paid off. His business grew. He hired one worker, then another, then another until he finally outgrew his space and moved to a larger building on St John Street. As success breeds success, after a few more years that building was too small. 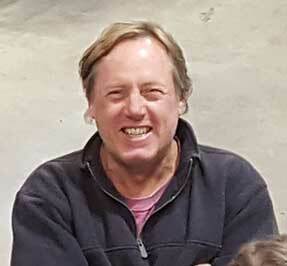 Peter found property on Warren Avenue and decided to build a brand-new state-of-the-art facility to house Harbour Auto Body and its 7 employees. As Peter says, “It was a Cinderella story”- a young entrepreneur with a gift to fix things, starts from literally nothing, works very hard, very methodically to build a very successful business with a stellar reputation. The auto body industry is not easy. Many competitors have come and gone looking to make a killing in the business (which has led to their downfall). Harbour Auto Body has survived for over 30 years by paying attention to its core principles – provide the highest quality craftsmanship possible, be honest and treat people and employees fairly and with a smile. It’s kept customers coming back and is Harbour Auto Body’s “not-so-secret” to success. Color-matching - affects the look and resale value of a vehicle. We are proud to say we excel in this area. All too often we “fix” paint jobs done elsewhere. We do take care of everything - People anticipate problems when searching for an auto body shop. The professionals at Harbour take care of everything to help make your experience a truly pleasurable one. Insurance - We work with all insurance companies, and navigate the insurance claims process on your behalf. Rental car - No problem - We’ll arrange to have it ready and waiting for you. Fast, free, no-obligation estimates. - Stop by, no appointment necessary. Vehicle pick-up - If you can’t come to us, we will come to you. More attention - Proudly, we prefer to be a small shop that doesn’t compromise on quality, so each car, truck or van and its owner gets pampered. You are not a number.